It does not require much to be captivated by the picturesque countryside and the enchanting coastlines of Gozo, both of which can be admired aboard the ferry sailing towards the island. 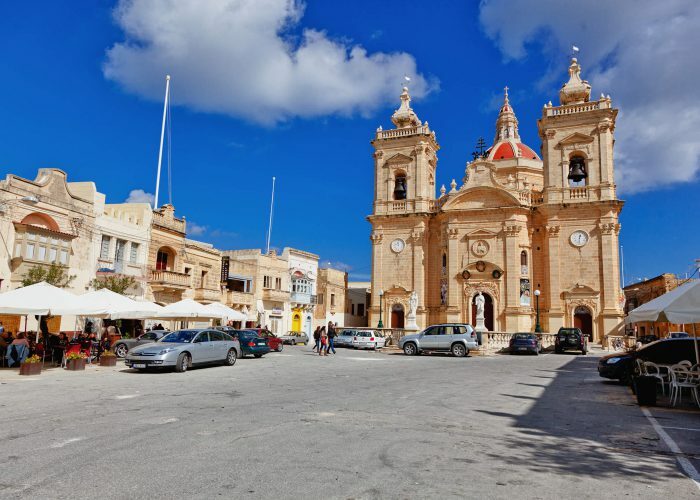 However, upon disembarking, many are those who quickly realise that Gozo's beauty also lies within the many villages scattered around the island (eighteen in all), each bequeathing its unique charm. 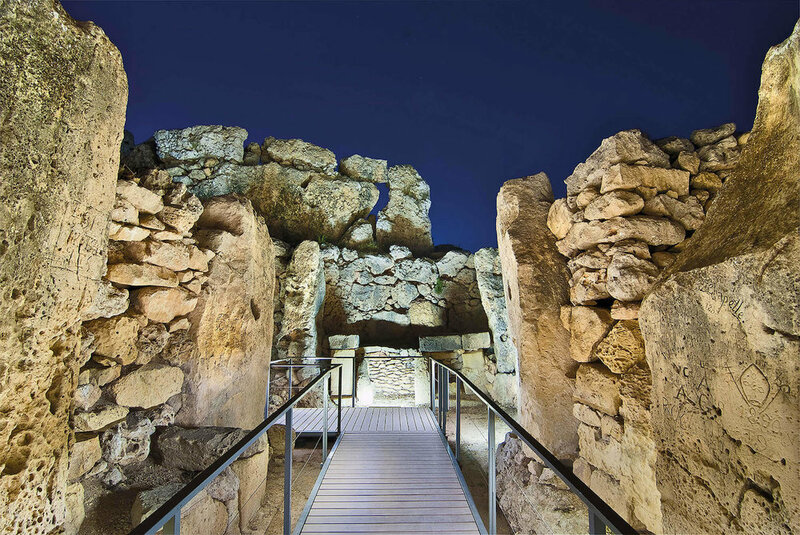 Nestled in the heart of Xagħra village lie some of the world's oldest, free standing monuments — the megalithic Ggantija Temples. Composed of two structures, these majestic temples are older than those of Stonehenge in the UK and the ancient pyramids in Egypt, fetching a remarkable age of some 5,500 years. In earlier days, the creators of these temples were believed to originate from a giant human species since some of the megaliths exceed a staggering five meters in length. In fact, the word 'Ggantija' means giant in Maltese. There is enough evidence suggesting that these temples served as a ceremonial site where fertility rituals involving animal sacrifice were performed. The sheer magnitude of the ancient stones along with the sophisticated skills required to build such a marvellous structure inspire awe in anyone who visits this site. This famous bay has been making waves in Gozo for a long time now. The beach is very popular for swimming and snorkelling while the golden coloured sand is a haven for sunbathers. For those who seek a beverage to cool off, there are some cafes in the vicinity offering an array of food and drinks. Although Mixta Cave makes part of Nadur village, it is worth a visit if you are already in Ramla Bay. The views of the bay which this cave affords are very rewarding, and you will be sorely tempted to snap a couple of pictures. There are two access points to the cave, the first is hiking up the path to the right of Ramla bay, while the second is through a side entrance from the road in Nadur going towards the beach. If you're taking the second approach, do not be startled by the gusts of winds which will make sure to welcome you as you descend into the cave through the narrow stone tunnel. It is also worthwhile to download the route to your phone beforehand, as the cave can be a little challenging to find. If your idea of an island escape includes a delicious al-fresco dinner on a warm summer evening amidst a flickering candle on a little pavement table, then Xaghra square offers the perfect backdrop to complete your romantic Mediterranean day dream. With a total of ten different restaurants and bars dotting its perimeter, the square presents itself as an excellent spot to observe the hustle and bustle of everyday village life. Be it for breakfast, lunch or dinner, or simply to kick back with a pint, Xagħra square promises constant entertainment. A four meter descent down a flight of stairs in an ordinary house on January Street in Xagħra, reveals a quirky discovery of stalactite and stalagmite formations in a cave. Ninu's cave was discovered in 1888 by Joseph Rapa who was digging for a well in the residence. Another similar remarkable discovery by Anthony Xerri took place a few years later in 1923, just a few streets away, in what is known today as Xerri's Grotto. Today, both caves are well illuminated and open to the public. Tucked away on the outskirts of the village, Xagħra is also home to Bellavista Farmhouses Gozo. If you are a sunset lover, you can gaze at the sun every evening with your loved ones from the privacy of your pool terrace, as it slowly descends behind the medieval citadel in Victoria. and finally... can someone please explain how to pronounce 'xagĦra'? Xagħra was probably the earliest inhabited area in Gozo due the rich and fertile valley that surrounds it - perfect for agriculture. Infact, it is no surprise that the word 'Xagħra' means wilderness in English. Xagħra is a word derived from Arabic and the 'X' is uttered as 'shh' whilst the 'gh' in the middle is not pronounced at all, so the word literally sounds like 'Shhara'. Older Post8 things you should know before visiting Gozo!